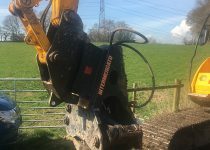 Our Excavator Attachment Hire includes a wide range of attachments suitable for all sized plant, from 1.5 ton mini diggers up to 50 ton excavators. Ridgway’s plant attachment hire service includes grabs, breakers, shears, selector grabs and multiprocessors. 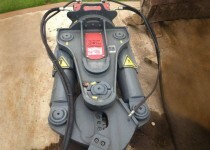 These attachments can be used for a wide range of work that includes demolition and recycling. 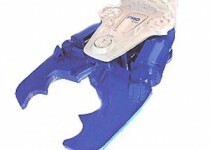 Our tree shears attachments are ideal for woodland and forestry areas. The Kinshofer with DSXpower and QMXlink was developed for primary and secondary demolition. 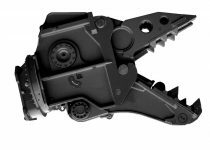 Shear For 13 Ton Excavator - This handy attachment fits a 13 ton excavator and can either have shear or muncher jaws fitted. 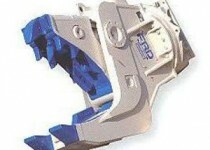 The FRD Secondary Crusher Attachment can be used after primary crushers. Because of the angled shape the FRD crusher is ideal for secondary demolition and crushing reinforced concrete elements. Click on the PDF link below for detailed information on this excavator attachment. 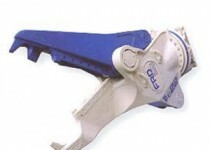 The FRD Primary Crusher can be used to demolish concrete constructions or buildings and to cut reinforced steel bars. The FRD Demolition Attachment is designed to demolish brick walls, and sort and load demolished materials. 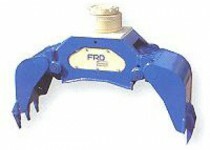 Click on the PDF link below for detailed information on the FRD Demolition attachment available. The VC22 Multiprocessor is ideally used in primary demolition and can be fitted on excavators ranging from twenty ton up to thirty ton. Click on the PDF link below for detailed information on the FRD Combi Cutter attachment. 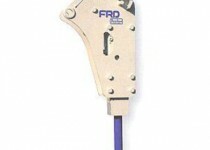 Click on the PDF link below for detailed information on the FRD Breaker attachment. Ridgway Rentals supplies self drive plant hire nationwide from our Shropshire base. All machinery is modern and well maintained; nothing has our logo on, and you are welcome to add your own decals. Ridgway can supply anything from a one ton mini digger up to a fifty ton excavator, including long reach from twelve to twenty two metres, dozers with GPS control, rubber ducks, dump trucks with optional flotation tyres, telehandlers, skidsteers and attachment hire as mentioned above. Plant Hire is available nationwide, and haulage is always charged at local rates. Ridgway can supply what you need, where you need it, at competitive prices. 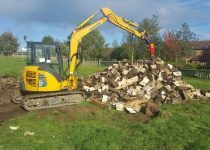 All equipment is available on a short term hire or contract plant rental basis. Plant can be supplied short term – as little as one day – or long term – as long as three years. This makes it a cost effective alternative to purchasing. Nationwide excavator attachment hire at competitive prices and exceptional service levels – call us now for a no obligation quote!